Aulani means “a messenger of a chief” in Hawaiian, meaning the messenger brings news from a higher authority. The resort serves as Disney’s messenger of the Hawaiian spirit, culture and people. Disney’s Imagineers worked side by side with local artisans, designers, builders, and historians to create a one-of-a-kind resort on the Hawaiian island of Oahu — Disney’s first and only resort not connected to one of its theme parks. 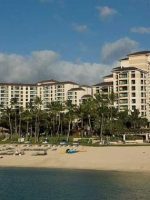 Located on 21 oceanfront acres in Oahu’s Ko Olina Resort and Marina, Aulani, a Disney Resort & Spa, opened to guests in 2011, just 17 miles but worlds away from bustling Honolulu. 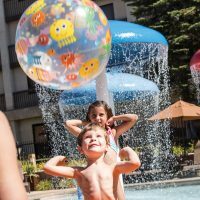 Nestled against a crystal-blue lagoon and white-sand beach, the family-friendly resort features water play areas and two pools; spas for ‘tweens, teens and adults; a kids’ club; family and kid activities and programs; Disney character experiences, and signature restaurants. 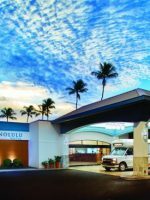 The resort is situated around its signature seven-acre water play area called Waikolohe Valley, which mimics the local landscape with a lava-formed mountain with trails leading to the blue waters below. Sprinkled through Waikolohe Valley, as well as all around the resort, are the legendary menehune, Hawaiian “little people,” who showcase the local folklore with plenty of whimsy to excite little ones. The resort is also a Disney Vacation Club resort. The completion of the resort’s twin towers added 359 guestrooms, including 16 suites, and 481 two-bedroom villas. The additions of Moana of Montunui, a Menehune Mischief character dinner, and Ka Wa’A luau on the Hālāwai lawn, made the Hawaiian Disney experience even more family-friendly. Aulani houses 359 guestrooms, including 16 suite, and 481 two-bedroom villas. All rooms and suites feature flat-screen TVs, DVD players, a private deck or porch, Pack 'N Plays with bedding, mini-refrigerator, coffeemaker, in-room safe, and a deep-soak tub. Standard rooms, at 382 square feet, are the most basic and lowest in price. 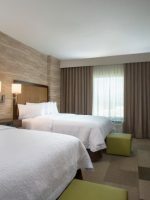 The rooms sleep up to four in two queen beds or with one king bed with a queen-sized sleeper sofa. Parlor Suites accommodate up to five in a room that is 764 square feet. The rooms feature a separate bedroom and parlor with a king-bed in the master bedroom, one queen-sized sleeper sofa, and one pull-down bunk in the parlor. The suites also provide an additional half bath. The Lei Hulu Suite also sleeps up to five but is 1,528 square feet and features two full bathrooms. One king bed in the master bedroom, a queen-size bed in the parlor, and a sleeper chair in the parlor accommodate guests. The Ahu Ula Suite sleeps up to six in two bedrooms and 1,910 square feet. One king is available in the master bedroom, and one queen bed and queen-size sleep sofa is found in the second bedroom. The suite includes three full bathrooms. Both suites also feature whirlpool tubs, a steam shower, a full and mini refrigerator, microwave, dishwasher, and cordless phones. Two-bedroom vacation club villas feature kitchenettes and a washer and dryer. Non-members can reserved these 60 days or less before arrival and are based on availability. The villas are 356 square feet and sleep up to four with a queen-sized bed and one queen-sized sleeper sofa. We stayed in a 1-bedroom villa, part of the Disney Vacation Club (DVC) tower of Aulani’s resort. The one bedroom villa is 756 square feet and sleeps up to 5 guests. There is a king-sized bed in the master bedroom, a queen sleeper sofa and a chair that converted into a single bed in the living room. The villa contains a split 1.5 bathroom with separate shower/sink and toilet/sink areas, similar to the design on Disney cruise ships. There is also a complete kitchen with full-size refrigerator, sink, stove, oven, microwave, coffee maker, toaster, dishwasher and stocked with glassware, dishes, flatware, cooking utensils, pots & pans. Adjacent to the kitchen is a breakfast nook with table, bench seating, and stools. The set up is perfect for preparing and eating meals in the room, especially breakfast, and saving some on the high cost of Hawaiian restaurant meals. All DVC villas also have a washer and dryer allowing families to pack fewer clothes, travel lighter, and save on airline baggage fees. You do not have to be a DVC member to book a DVC villa. They are available to non-members 60 days or less before arrival based on availability. We are a well travelled family of 4 with a 11 and 14 year old. We are on our last day at Aulani and was excited to come here based on some recommendations from friends who had been here. The resort is nice but definitely not 5 stars. It’s VERY over crowded (maybe spring break issue only?). It’s SUPER FAR from anything, so even tours done through the resort take at least 1 hour of driving one way to get to (and this is not made clear anywhere that there is no hotel pickup for tours...pickup is 1 hr away in Waikiki!). Only 2 restaurants that get booked and NO space to eat otherwise. If you get a villa, you likely will have space in your villa to eat; however, if you’re in a deluxe ocean view room, you have limited space and cannot eat comfortably in the room. Across the street is a nice shopping area, though. For the Disney brand, the planning on this resort was poor in terms of poolside seating as well. You have to wait in lines every day at 8 am as a family to get new wristbands to use the resort and facilities. People are nice but it’s super inconvenient and for a Disney property, one expects logistical excellence and convenience that you see in DisneyWorld. Check in takes FOREVER and is overcrowded. When they text you your room (which would be very convenient if it worked well) you get a number but no building name...so you don’t know where to go! When you text ‘Help’, you get a template email about frequency of texts..,so NOT Disney Caliber?! That being said, the food at AMA AMA is delicious...and the staff is very nice. Rooms are well kept, beds are very hard (I was fine but hubby had back pain mist of the trip)...Reef at resort and bay is very nice. But all in all, if your kids are older (ie won’t mind not seeing Disney characters), would definitely opt for a nice resort closer to Waikiki. Sorry Aulani! It saddens me to write this this review. We’ve been Disney Club members for 10 years and have never written a negative review of any property we’ve stayed at, including the six times we’ve stayed at our home resort, the Aulani. We love the Aulani and until this trip have never regretted buying into the DVC “family” and calling the Aulani our home. This trip, however, made us rethink the future value of keeping our timeshare at Aulani. We arrived on Thursday morning and the desk agent who checked us in apologized and told us that the machine that coded the key cards was not working and could we please come back again in a few hours when it should be working. No problem. We came back at 2 PM, our cards were coded and we were told that we would receive a text message with our room number when our room was ready. No problem, as I know Disney is fairly strict about not letting guests, even DVC members, check in before 4 PM. We had lunch and since we were operating on three hours of sleep, our family of five found a quiet, shaded spot by the pool and fell asleep. I set my phone to vibrate so that I would hear when the text with our room number came through. I woke at 7:30 PM to find that the front desk still had not texted us our room number. I went to the front desk and spoke to Ashlyn, who apologized for the error and asked if I would like to speak to a manager. Kaleimakame: “I’m sorry you feel that way.” Which we all know is the invalidating statement people make when they don’t care enough about you to address the matter respectfully. Well, Kaleimakame, I am sorry that starting our family vacation this way didn’t matter more to you, and that you single handedly shifted the joy that we felt coming back “home” to Aulani this year. And that this feeling was still lingering the next morning when our daughter, who has multiple health issues, turned on the jacuzzi jets in our bathtub (Room 176) and black mildew came spewing out all over her. Or that it has now been 48 hours since we called to have it sanitized and the black mildew is still sitting in our bathtub. Yes, I am sorry indeed as up until now, we’ve never questioned our decision to buy our timeshare at Aulani. Right up until now. Special Disney-led experiences are offered off the resort and may be booked from the lobby. Experiences include the Kualoa Ranch Experience, which includes sailing on a catamaran, a private beach barbeque, and a horseback ride; Waimea Falls North Shore Experience guided tour of the North Shore and its botanical gardens; a Manoa Valley Rainforest & Bamboo Forest Hike, a three-mile hike across streams and near a 200-foot tropical waterfall; Hawaiian Fire Surf School, surfing lessons led by the Hawaiian Fire team on a barrier reef one mile offshore (teen-only versions are available); as well as Kailua Sea Kayaking, a visit to the Honolulu Academy of Arts & Bishop Museum, and a Hawaiian cooking class with a local celebrity chef. In Hawaiian, kids are called "keiki" and, of course because it's Disney, keiki are treated very well at Aulani! Open from 9 a.m. until 9 p.m., Aunty's Beach House is a complimentary kids' club, for kids ages 3 to 12, with special programs and play areas to keep kids busy for hours. Special events include an evening party with Chip and Dale, making Stich's super secret super messy space goo, and hearing Hawaiian tales from Aunty. (Some programs have fees.) Lunch and dinner are provided for an additional charge. Children must be potty-trained to attend. Special 'tween activities are also held here. Daily schedules are delivered to guestrooms each night so your family will know which characters will be making appearances the next day on the resort, and where and when. Kids will have a chance to take photos with beloved characters like Mickey and Minnie Mouse, Goofy, Donald Duck, Stitch, and Chip and Dale. Pre-show activities start at 5 p.m. on the lawn behind Aulani Resort. Families can learn how to make poi (not as bad as expected), how to play a ukulele (much easier than expected), make flower leis, get temporary tattoos, and more. Moana welcomes families to the festivities, and, most importantly, announces the opening of the dinner buffet. The feast features traditional Hawaiian staples such as poi, teriyaki chicken, and a whole roasted suckling pig. The luau, Ka Wa’a or “the canoe,” shares traditional stories, dances, history, and culture of Hawaii and O’ahu’s ‘Ewa plains surrounding the resort, as well as legends of the demigod Maui (mention of Maui’s name elicites cheers from kids in the crowd – you’re welcome). The resort's 1,500-square-foot spa is dedicated to children 13 and up. 'Tweens and teens can select from manicures, pedicures, massages and facials, and enjoy the do-it-yourself mixology bar to blend body scrubs, perfumes and face masks. The center offers daily programs, as well as a relaxation area, computer station, and yogurt bar. This man-made reef is a 3,800 square-foot snorkel lagoon where swimmers of all levels can get up close and personal with more than 1,000 tropical fish native to the Hawaiian waters. There is a fee to swim in the reef, as well as to participate in the interactive stingray experience at the neighboring Makai Preserve. 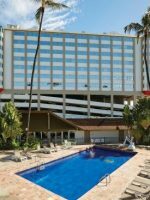 The resort's two pools include Waikolohe and Wailana. 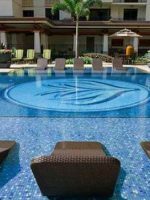 Wailana is a quiet, adult-only pool, but Waikolohe is the resort's main zero-entry pool for families, which is also attached to a lazy river for tubing, the Menehune Bridge water play area for the younger set, and the Pu'u Kilo lava mountain. Pu'u Kilo's two waterslides will definitely shrivel up fingers and toes on kids who won't want to stop riding the slides, one of which is completely in the dark. Lifeguards are stationed around the entire area from 8 a.m. to 8 p.m. The resort's beach is situated on a calm lagoon. Visit Makiki Joe's Beach Rentals for umbrellas or to rent paddleboards, kayaks, snorkel gear and more. Scattered about the resort are the legendary "little people" of Hawaii, the menehune. More than 300 menehune are hidden, many of which are at eye level of the resort's smallest guests. Kids will have fun searching for menehune, and can take part in the Menehune Adventure Trail, where they receive a special device for seeking the whimsical little people. During Menehune Mischief, Aulani Resort’s “Uncle” tells tales of the Menehune – mystical, mischievous little people during a character meal with Donald Duck, Pluto, Chip and Dale at the resort’s Makahiki restaurant. The quality of the food, especially the seafood, was very fresh. There was poke, crab claws and legs, mussels, prime rib, pastas, and salads as well as a bevy of desserts. The atmosphere around the characters was not so raucous as you might find in the mainland theme parks. The resort's fine dining restaurant provides an open-air setting overlooking the lagoon and Pacific Ocean. Here, contemporary island cooking is the star with menu items featuring Pacific Rim dishes. For breakfast, the kids will love the chocolate milk-dipped French toast stuffed with bananas and peanut butter. Open for breakfast, lunch and dinner, the menu offers pre fixe and a la carte selections. Dinnertime is most expensive, with entrees ranging between $31 to $53. This restaurant, which is open for breakfast and dinner, provides a buffet featuring more bounty from the islands. The restaurant's lighting changes from pink to blue during the evening to mimic the setting sun, and it is here that evening musicians may perform and the Disney character breakfast, Aunty's Breakfast Celebration, is held twice a week (Wednesdays and Saturdays). A kids' corner, or Keiki Corner, provides a place with kids-friendly items, easy to get to for little ones. It's pricey, though: breakfast is $32 for adults and $18 for children 9 and under; dinner is $43 for adults and $21 for children 9 and younger. Next to the pools and 'AMA'AMA is an outdoor "shack" providing light bites from 11 a.m. into the late evening. Daytime selections include a kids' menu, but at night the limited selection is not suited for children, unless they like oysters, sushi and Peking duck. Tucked back by Aunty's Beach Shack is a quick-service sandwich, wrap and hot dog shop for grab and go items. Near Rainbow Reef is a store-like space that provides picnic-style foods to grab and go. No visit to Hawaii is complete without a bit of shave ice, and Aulani provides a shave ice shack on the pool deck, where kids won't miss it! Beachside hut offers snacks, fruit, beverages, and grab-and-go items. The menu’s been updated to include the theme park favorite pineapple soft serve ice cream (aka Dole Whip). Breakfast, lunch and dinner can be enjoyed poolside at this grab-and-go spot. Room service is available from 6 a.m. to midnight, promising food within 30 minutes of order time. Breakfast, lunch, dinner and snack items are available, including a kids' menu. Aulani's Na Pua Place kid's lounge, just in view of the check-in desk, can keep kids' entertained during the registration process. Pint-sized stools, TVs and interactive games are available. Babysitters can be arranged on property. Reservations required. 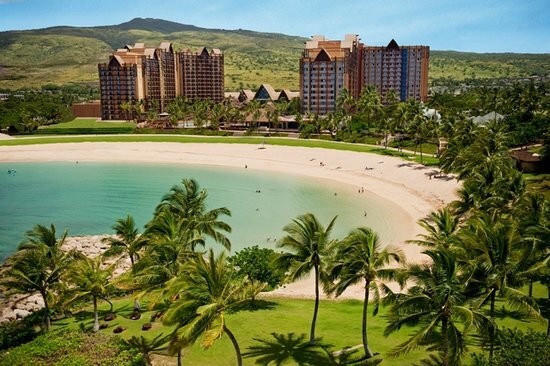 Aulani is located on the Hawaiian island of Oahu, which means a visit will bring warm weather and waters year-round. 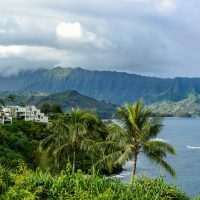 There is no bad time to visit the island: spring, summer, fall or winter will all provide sunny skies (unless a quick Hawaiian rain shower pops up) and summer-like temperatures. Holidays are peak times to visit, so if you're seeking lower rates, fall (back-to-school-season) is a good time to go. 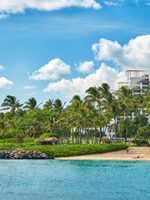 Aulani is located just 17 miles from Honolulu International Airport, but the city's traffic can make the drive take 40 minutes to an hour. Direct flights are easier to find on the West Coast. The flight from the West Coast is more than five hours so families on the East Coast already flying across country without a direct flight may want to spend a night in a continental location, such as Los Angeles, before continuing on to Hawaii. Families will find it convenient to maneuver around the resort. Laniwai means "freshwater heaven," and this spa is certainly a water-filled heaven. A 5,000-square-foot outdoor hydrotherapy garden features a Stonehenge-style shower area with six different showerheads representing the island's six styles of rain, and a host of outdoor vitality baths. Enjoy the garden before or after a treatment in one of 15 rooms that provide massage therapies, herbal body remedies and treatments, facials, cosmetic enhancements, and treatments for moms-to-be, men, and couples. A special baby massage session teaches new parents how to massage their child (up to age 2) to aid with sleep and digestion. While one parent learns the technique, the other receives a relaxing massage, and then they switch! Family massages can also be arranged with children 5 and up.